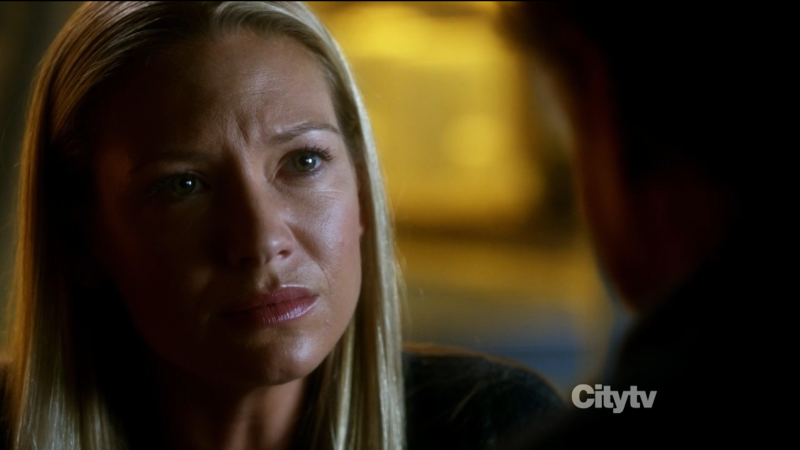 Fringe ‘An Origin Story’ deals with the direct aftermath of Etta’s death in the previous episode. 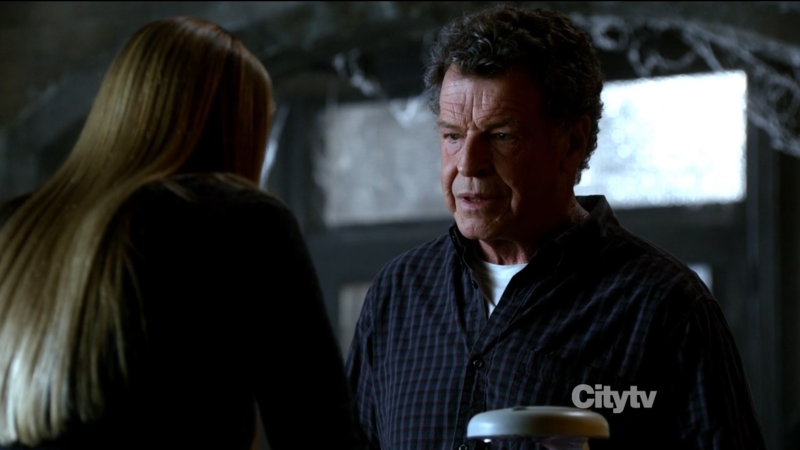 In many ways it is a story of grief and revenge that has made Fringe suddenly more ‘real’ and less comic like. Previously our Fringe team tried to deal with every enemy through a plan that involved gadgets and bravado, now the team uses sheer anger and violence to get back at the Observers. Peter (Joshua Jackson) and Olivia (Anna Torv) mourn the loss of their daughter Etta. Olivia in particular is shaken up and nearly unresponsive. They prepare to leave Etta’s safe house when Peter finds a hidden stash of guns and more anti-matter bombs. 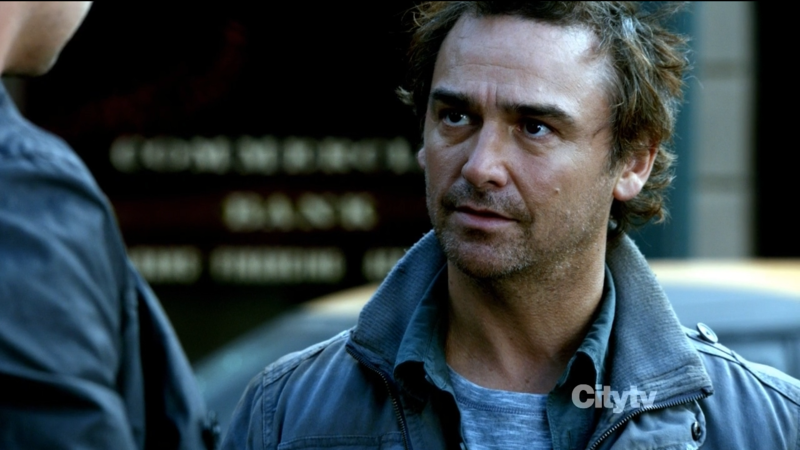 Through Etta’s contact in the resistance, Anil (Shaun Smyth), they learn that the Observers have received a delivery of parts for their atmospheric modification machine. Which will make the planet inhospitable for humans if these are completed. Walter and Peter recognize from eyewitnesses that the deliveries are being made through wormholes from the Observers’ future. If they can disrupt the delivery process, they will be one step closer to defeating the Observers. Anil says that they have captured an Observer, along with a book in the Observer’s strange writings ans a device that was used to open the wormhole. 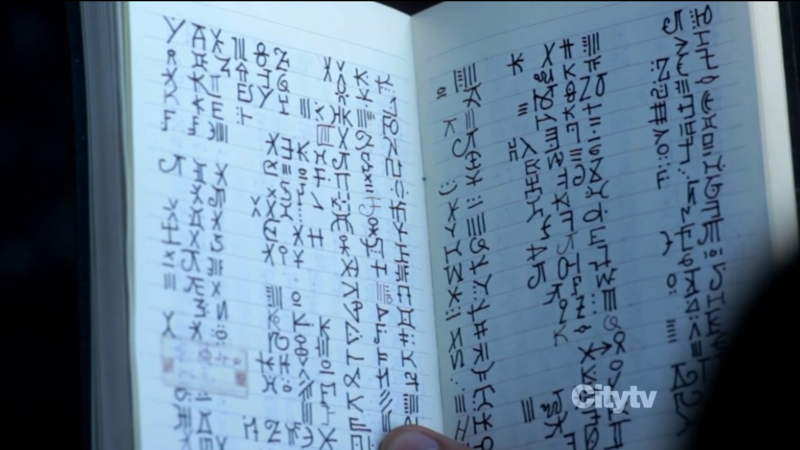 While Astrid works at decoding the book, Peter attempts to understand the device. It is believed to focus the opening of the wormhole upon delivery. 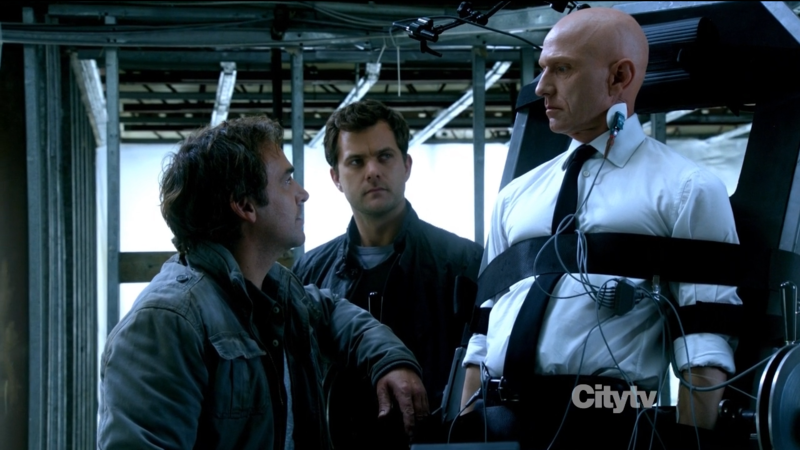 The device proves to be extremely dangerous if put together the wrong way, forcing Peter to go to the captured Observer to try to get information. The Observer remains silent, but Peter monitors subtle body actions, using those to judge when he is assembling the device correctly. Meanwhile, Walter has found an old video tape of one of Etta’s first birthdays. He offers it to Olivia, hoping to coax her out of her depression, but she refuses to watch it. Astrid successfully decodes the book and identifies a delivery being made that afternoon. Peter too is successful at assembling the device having finished it after seeing the Observer’s pupil dilate. 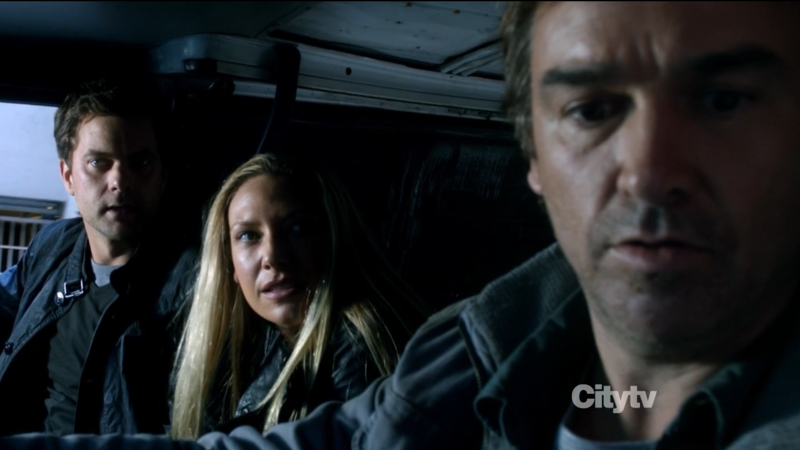 Peter, Olivia and Anil start the device and prepare to fire one of Etta’s anti-matter canisters into the wormhole. They expecting it to disrupt the wormhole and cause the other end to collapse in a singularity. 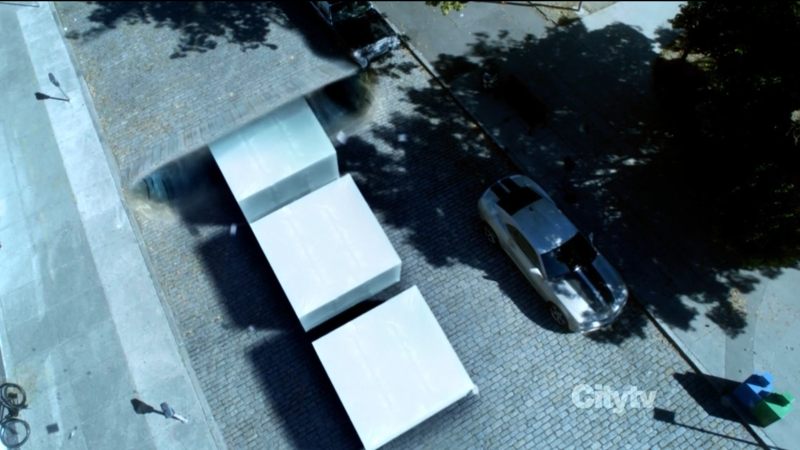 Observers nearby, preparing for the delivery, spot Peter and Olivia and try to stop them, but Olivia snaps out of her depression to waylay the Observer. 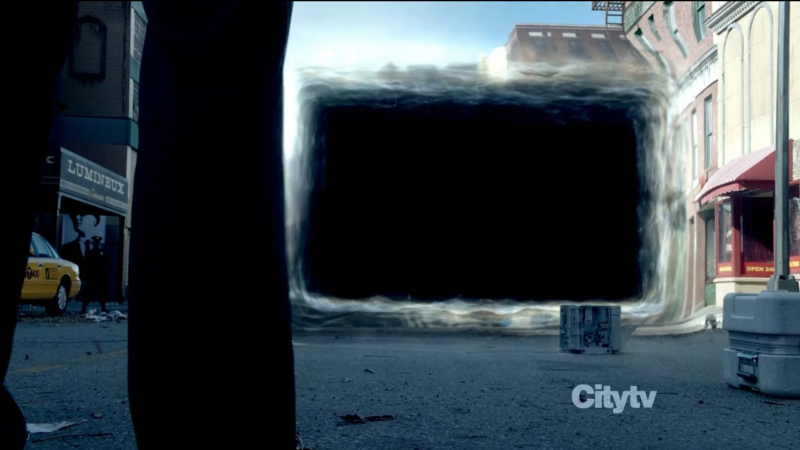 Peter fires the anti-matter at the wormhole and collapses it. As the three drive away they are stunned to see another wormhole opened nearby with more shipments passing through. Peter is furious, disbelieving the Observers in the future could recover that fast, and storms off to question the captured Observer. 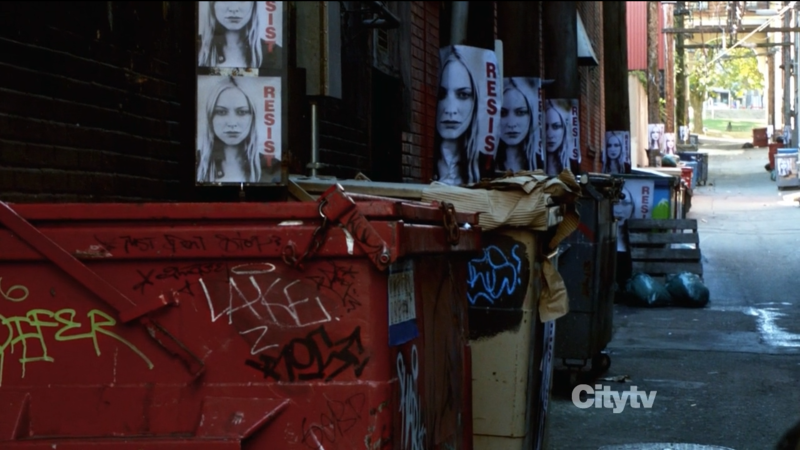 Olivia goes to follow, but is instead confronted with number of human resistance posters plastered around with Etta’s face on them. Peter confronts the Observer, who notes that Peter only wanted to see what he thought he wanted to see – the Observer’s subtle actions were only in response in observing a fly on the wall. The Observer claims Peter assembled the device all on his own, and he only needed him to act as some type of corroboration. The Observer further mocks a quote said by Anil to Peter: If one goes on a quest for vengeance, one should dig two graves. Furious, Peter strikes the Observer, but when the Observer shows no emotion or care if he should die, Peter cuts out a device located on the back of his neck, which Anil earlier claimed is what makes an Observer super-human. The Observer dies from the cut. Later, Olivia decides to watch the tape, and is overcome with emotion. She calls Peter to reiterate how much she loves him just as Peter inserts the Observer’s device into the back of his own neck. 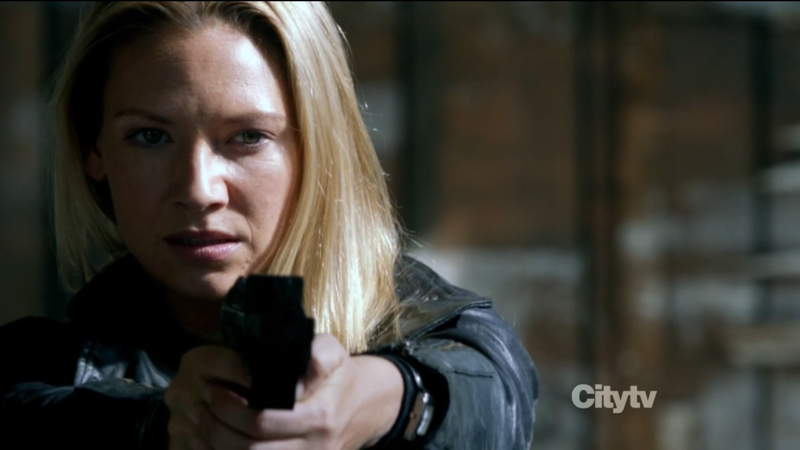 Conclusion; ‘An Origin Story’ is a dark episode of Fringe. The fallout of Etta’s death certainly has enabled both Olivia and Peter. Whereas before the outcome of this season was never in doubt, now we are not only concerned with the destruction of the observers and everybody’s good health but also with the healing of the relationship between Peter and Olivia. 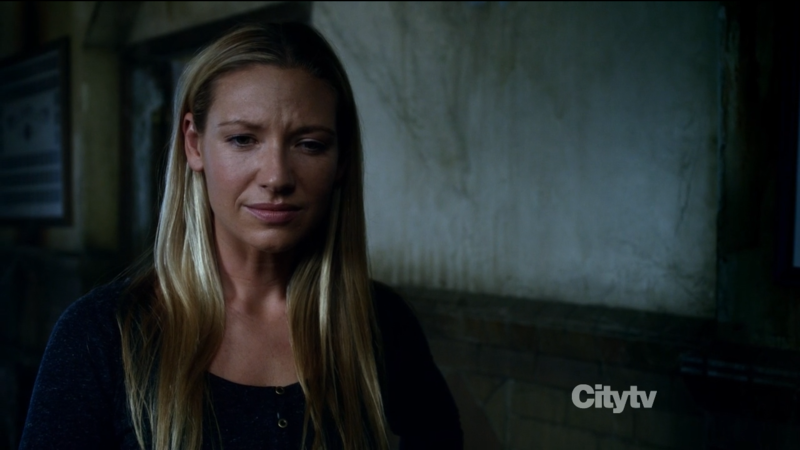 Peter’s decision at the end of ‘An Origin Story’ to implant Observer tech into himself throws a happy ending to Fringe into doubt. The question may be raised whether Peter caused the Observers to exist in the first place. 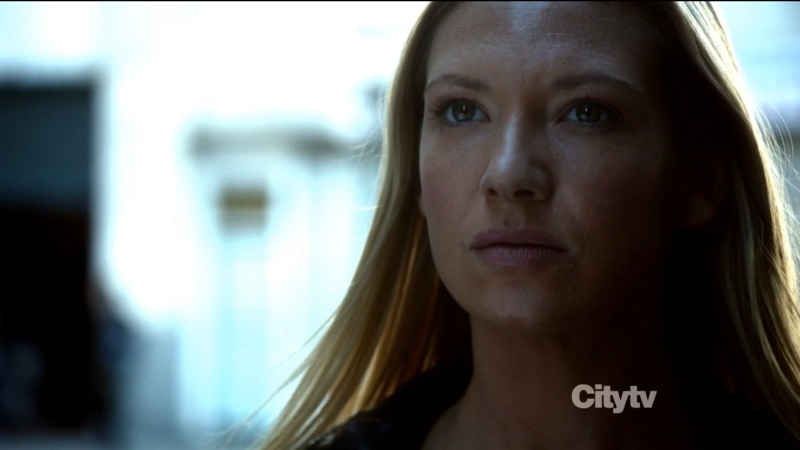 This episode is also formidable in that it continues the moody cinematography of the previous episodes, it gives this season a very gritty look much like the first season of Fringe. Downsides to this episode are pretty much the same as before, Jasika Nicole is once again under used as Astrid Farnsworth and the more serious version of Walter drowns out the funny Walter. Next story Battlestar Galactica: Blood and Chrome set for November 9 release as webisodes! Previous story Katee Sackhoff and Tricia Helfer get naked for charity in Acting Outlaws calendar!